The Voice Publishing Co. (1953) LTD (“us”, “we”, or “our”) operates the https://thevoiceslu.com/ website (hereinafter referred to as the “Service”). When visitors leave comments/messages on the site we collect the data shown in the comments/message form, and also the visitor’s IP address and browser user agent string to help spam detection. 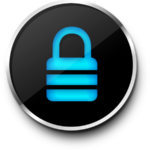 We use a third party service “One Signal” to provide browser notifications to users who opt in. A unique cookie identifier, which may uniquely identify an End User (such as in de-identified or anonymous form). These cookies may be associated with other Information, including with Data Segments. Find out more about One Signal and the data they collect here.